It's September and this month ushers in the beginning of my favorite season of the year – FALL!!! A chill in the air, the crackle of a fire, a steaming hot mug of coco -- something about it just brings a big smile to my face. I love crawling under a warm blanket in my coziest pair of socks and losing myself in a great book. While this doesn't happen in the South until November or December, I am living vicariously through all my northern book worm friends who are enjoying chilly temps and the first signs of fall. I couldn't think of a better month to kick off my "Prose and Palate Picks" then this one. From here on out, on the first of every month, I will be posting a list of my most anticipated new releases. September titles promise mermaids, whiskey in a teacup, tales of motherhood and the return of JK Rowling to the thriller world, so let's get right to it! Out September 4th - The title of Anne Bogel's latest book sums up my life in four words and I was thrilled when I was selected to be a member of the launch team. "For so many people, reading isn't just a hobby or a way to pass the time--it's a lifestyle. Our books shape us, define us, enchant us, and even sometimes infuriate us. Our books are a part of who we are as people, and we can't imagine life without them. I'd Rather Be Reading is the perfect literary companion for everyone who feels that way." I had the absolute pleasure of meeting Anne last year and she is just as delightful and engaging in person as she is online. Her new book releases on September 4th and it is a lovely homage to all the books that shaped her and helped define the reader that she is today. Out September 4th - You had me at leopard print. Abby Geni's book is generating a ton of buzz and I am counting down the days until my pre-ordered copy arrives in my mailbox. "The Wildlands" is being described as "a remarkable literary thriller... that examines what happens when one family becomes trapped in the tenuous space between the human and animal worlds." 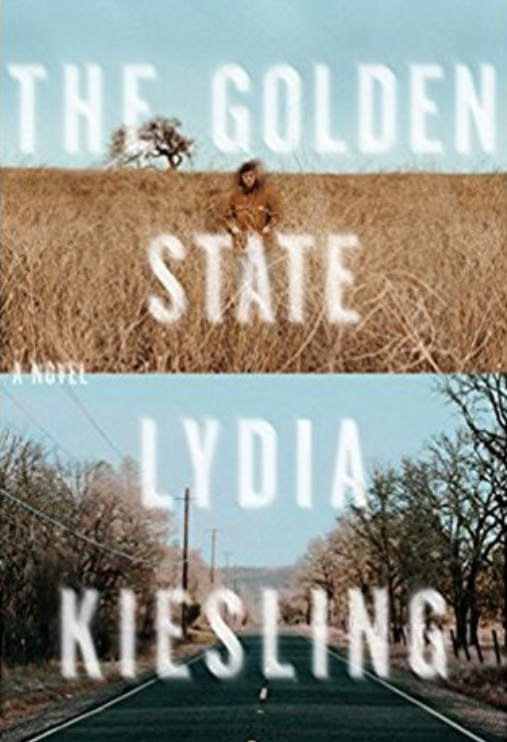 Out September 4th - "Bucking under the weight of being a single parent―her Turkish husband is unable to return to the United States because of a “processing error”―Daphne takes refuge in a mobile home left to her by her grandparents in hopes that the quiet will bring clarity. But clarity proves elusive. Over the next ten days Daphne is anxious, she behaves a little erratically, she drinks too much. She wanders the town looking for anyone and anything to punctuate the long hours alone with the baby. Among others, she meets Cindy, a neighbor who is active in a secessionist movement, and befriends the elderly Alice, who has traveled to Altavista as she approaches the end of her life. When her relationships with these women culminate in a dangerous standoff, Daphne must reconcile her inner narrative with the reality of a deeply divided world." I am looking forward to Kiesling's debut and am interested to see how she examines the difficulties of motherhood. Out September 4 - Kirkus Reviews gave Bowman's latest a starred review and called Summer Bird Blue "a strikingly moving book about teenage grief." When Rumi survives the car crash that takes the life of her younger sister, her mother (who shuts down over the loss), sends her to live with her aunt in Hawaii. With the help of music and several of the locals, Rumi begins to navigate her loss and come to terms with her survivor's guilt. Out September 11th - “If she was not a woman,” the wind says of Gbessa, “she would be king.” Set in Virginia, Jamaica and Africa, Wayetu Moore's debut blends history and magical realism to retell the story of Liberia's early years as seen through the eyes of three incredible characters - a cursed witch from the Vai tribe, a slave from Virginia and a Jamaican son who has an usual gift. Out September 11th- I am a HUGE fan of Jane Mount's work and I can not wait to have this stunning book on display in my home. "With her signature intricate illustrations, Mount transports the reader to an immersive world filled to the brim with literary treasures. Among the goodies on offer: drawings of bookstores and libraries from around the world, fun quizzes, tidbits of literary trivia, a guide to bookstore cats, profiles of bookish people, and of course many stacks of excellent, highly recommended books organized by topic." Out September 18 - Do I want to sit in a rocking chair on the front porch sipping sweet tea and talking books, life, and fashion with Reese Witherspoon? Yes, yes I do. Oprah could drop by for some homemade cheddar biscuits and then after a long evening of girl talk, Reese would send me on my way with some left overs in one of her “Totes Ya’ll” bags. I can not wait to read her tips on decorating, dinners and what I hope will be a sweet, sassy, love letter to the South. Out September 18th - This book also received a starred review from Kirkus and is described as "dark and unforgettable.... a debut novel that examines the ripple effects of mental illness and betrayal on a broken family." This has been on my radar for awhile now and I can't wait until my pre-ordered copy arrives! Out September 18th - Cormoran Strike. JK Rowling. Finally Book 4 is here in this series and I am 100% HERE FOR THIS. Out September 18 - The title was enough for me. It is a constant struggle for me to balance a full time job, parenting, being a wife, being a friend, keeping the house up, the laundry washed, and attempting to have the ever elusive "me time".... I am exhausted just typing this. Any book that has tips on home management solutions, setting boundaries and cultivating more meaningful friendships is a book that I want to read. Out September 18 - This is a brick of a book at right under 500 pages but I can't resist a tale of a 1780's merchant ship that returns to London with a mermaid. The letter I received that came with my ARC said that this is an "unforgettable literary confection that explores obsession, wonder, and the heart's deepest desires." Out September 25 - Described as "a ferocious page-turner with deep wells of compassion for the struggles of the living—and the sins of the dead" (Kirkus) and a "rich and poignant tale of human nature at its best and worst” (Curtis Sittenfeld) -- I have very high hopes for Samuel Park's last work and I am saddened that he is not here to enjoy the accolades that this book will no doubt receive. Out September 25 - Can we just take a minute and talk about this cover?? It is STUNNING! It's one of the most beautiful books I have ever seen and I am hoping that the contents of the book are just as gorgeous as the cover. Sisters of the Winter Wood is a blend of historical fiction and fantasy about two sisters who are polar opposites of one another and live in a small village in the Ukraine. "When dark forces come to town, the sisters discover a family secret passed down through the generations and realize that they may possess the power to save them all."